Fully qualified member of the PGA with an excellent reputation for his coaching. Nick has been the head professional and lead coach here at Bird Hills for many years as well as a member of the PGA for 25 years. His reputation in the area for providing excellent coaching solutions for many golfers and creating long term, lasting relationships with his clients is without question. He has attended seminars and training days both in the UK and abroad with some of the most renowned coaches in the world of golf. 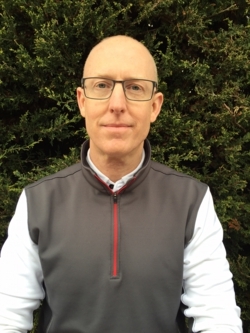 He's sought advice from a wide range of professionals in fields outside of the game to further his knowledge of the physiological and psychological elements that play such a crucial role in a golfer's development. Nick was also a "Dave Pelz Short Game" coach (one of only 12 worldwide) for a number of years, working at The Grove in Watford running short game schools as well as spending time at Kileen Castle in Ireland and PGA National in Florida. This gave him the opportunity to learn from probably the Worlds most renowned short game coach who amongst others coaches Phil Mickelson and many other world class golfers over the last 30 years. Please feel free to contact Nick with any questions you may have.